Look no further than Budget Tyres Autocentre Hull for affordable new and used tyres from a wide range of manufacturers. We guarantee you a personal service as a reputable family-run business and offer only quality tyres at the most competitive prices in Hull, North Humberside. 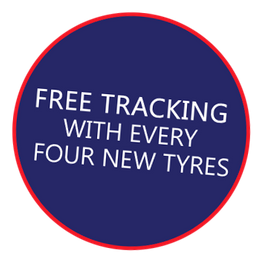 At Budget Tyres Autocentre Hull, we source the best part-worn tyres at affordable prices so we can pass the savings onto you as a valued customer. This also applies to our new tyres so make sure that you enquire about our unbeatable prices today. Our team of professionals specialise in utilising state-of-the-art fitting, balancing, and wheel alignment equipment for your benefit. All of our used tyres are pressure-tested with specialist equipment to ensure maximum efficiency and accurate results. Sailun™ Tyres have built up an enviable reputation throughout the world as the manufacturer and provider of high-quality, great value premium economy tyres. Covering a number of applications, Sailun™ manufactures research-led tyre patterns for every type of day-to-day use. Sailun™ was established in 2002 in the National Economic and Technological Development Zone in Qingdao, China. Now Sailun sells more than 30 million tyres annually in over 50 countries worldwide. From the outset, the Sailun™ tyre company has combined technical expertise with innovative research and development to design and manufacture world-class tyres for all types of vehicle. The business selects only world-class partners and recognised leaders in their specific technological and rubber industry specialisation. Sailun's™ growth is attributable to its commitment to three core values – quality products, a service you can trust, and lifetime support. Infinity™ offers a comprehensive range of tyres for passenger cars, ultra-high performance vehicles, 4x4s, and vans along with ones for the winter season. Infinity™ tyres have been specifically designed as per market needs and customer’s expectations in terms of performance. In addition to the above we also offer all other makes of tyre, so contact us in Hull, North Humberside, to discover more about our selection of new and used tyres.